Hello friends! We’re so sorry that we’ve been silent for so long. 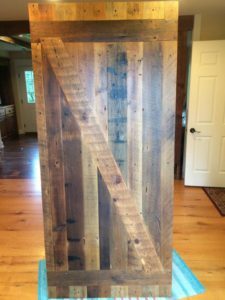 Through personnel changes, websites changes, and being busy, busy, busy with orders we’ve let this blog slip. Please forgive us! So I, Tyler (Heyyyy! ), thought that it would be appropriate to take this time to catch you up on all of the exciting projects that we’ve been involved in recently. Buckle up! It’s about to get CRAZY! So we’re in the middle of September and the last time we posted was back in February! Oh my…a lot has happened since then, but I’ll try to simply highlight a few key projects. Well, if you’ve never been to our site before you would’t know it, but this gorgeous site that you’re on is BRAND NEW. We spent a few months working with Sharp Innovations on a complete overhaul of our website. On May 26th, 2017 we launched the new site and have received great feedback so far. We would love for you to browse the site and give us any feedback…just keep your negative comments to yourself 😉 Just Kidding, we would appreciate ALL feedback as a way of improving our service to you! 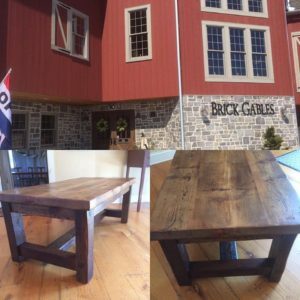 In our last blog post back in February, we mentioned that we were donating a coffee table that we made from Reclaimed White Pine barn floor planks and roof rafters to the annual Lititz Christian School Gala and Auction that took place at the beautiful Brick Gables banquet facility here in Lititz, PA. The Brandt family has many connections to LCS so this event and school are dear to us. The night is designed as a fun, yet elegant way to help raise funds for the school. Items that were up for bid included a private flight to the Chesapeake Bay area, gifts baskets from Waltz Vineyards, a coffee and pastry party for the teachers, etc. I can’t remember the exact amount it raised, but the coffee table that we made (pictured below) raised around $1,100! 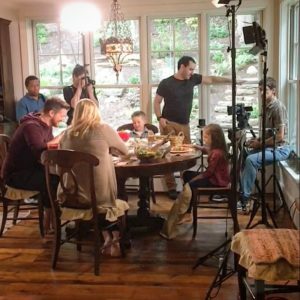 In addition to our new site, we spent a day with Cap Collective, a media production company based out of Harrisburg, PA, at one of our loyal customer’s house in Berwyn, PA. 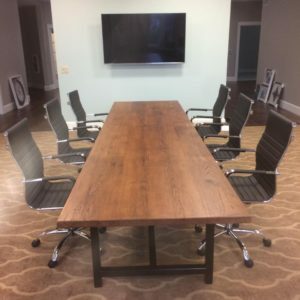 The goal of the day was to create a 30-60 second commercial for our business that we could add to our new website as well as use in advertising areas like movie theaters. While the video is basically done being edited, there are a few slight changes that are still in-process so stay tuned! We can’t wait to share it with you! 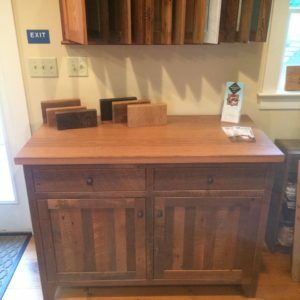 Ok, so you’ve got your beautiful reclaimed flooring full of rich history and character, but what about the cabinets in your home? 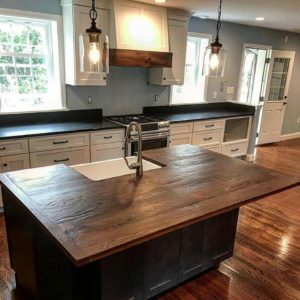 Well, if you haven’t heard, we’ve been working with K&H Cabinet Company to create a line of reclaimed custom cabinetry. The MULTIPLE samples that they’ve made are breathtakingly beautiful and we finally have our vary own display area in our showroom! 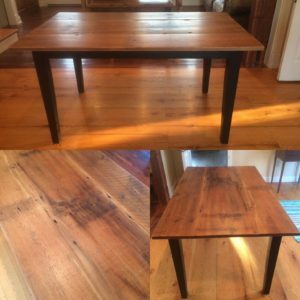 TABLES, FLOORING, AND MORE TABLES! 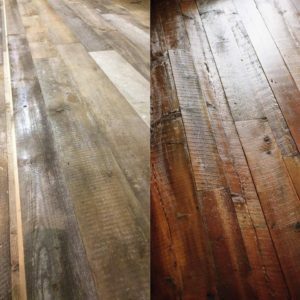 I’ll conclude with this; we’ve been very busy this summer and feel so blessed to be a thriving reclaimed flooring mill in such a niche market. 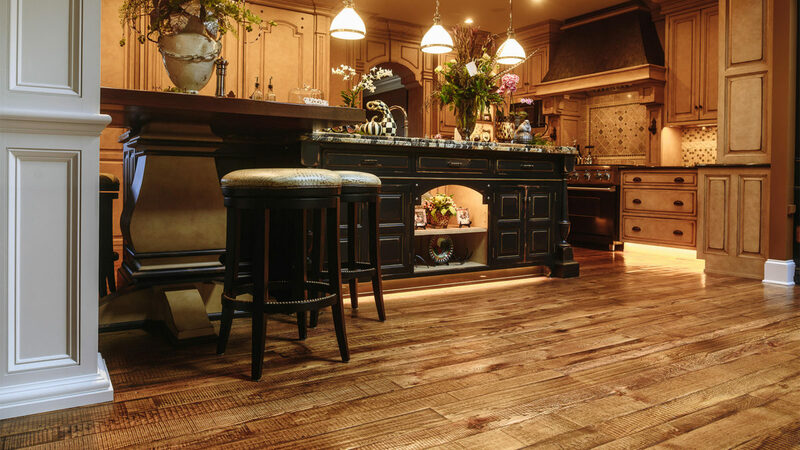 While flooring has always been our key product and still is, our table division has been exploding! 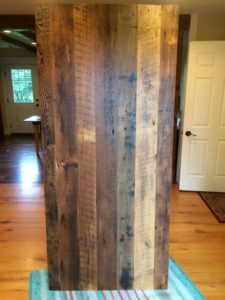 So below I’m simply going to post a myriad of pictures of various projects that we’ve done this summer, both flooring and tables/countertops. Enjoy! Ok, so hopefully that gets you up to speed on where we’re at. If you ever have any questions please email us at info@sylvanbrandt.com. Posted in Uncategorized on September 14, 2017 by Kaddie Hollinger.